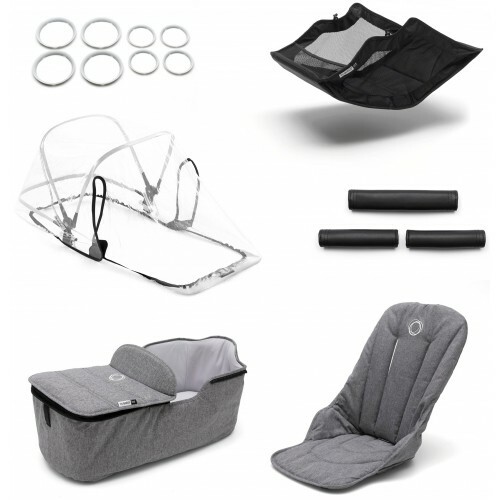 The Bugaboo Fox Style Set Complete includes everything you need to style your pram. Combine this item with the Bugaboo Fox Base to complete your Bugaboo Fox. Included: seat and pram body fabric, grips, wheel caps, underseat basket and rain cover for the Bugaboo Fox.